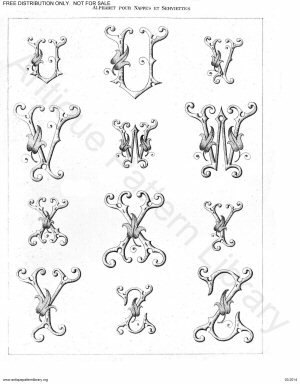 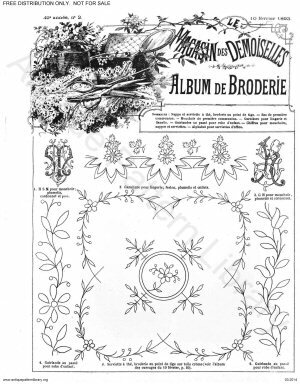 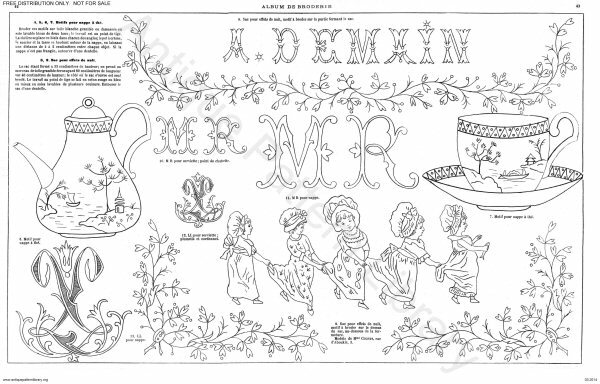 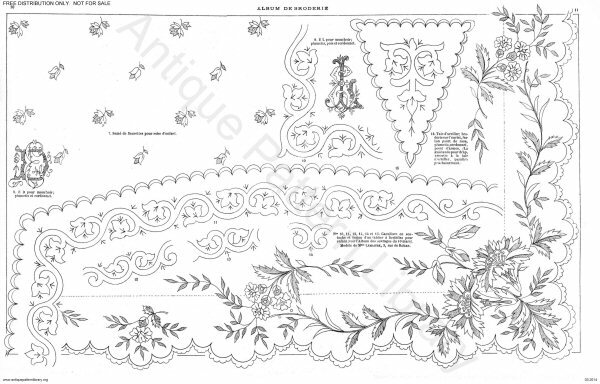 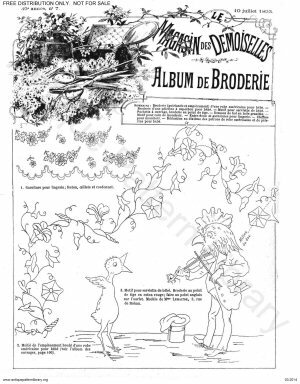 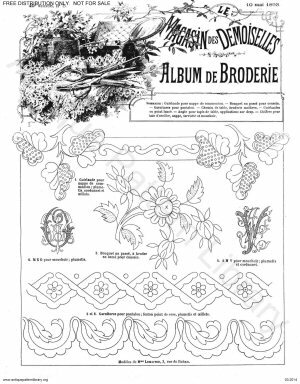 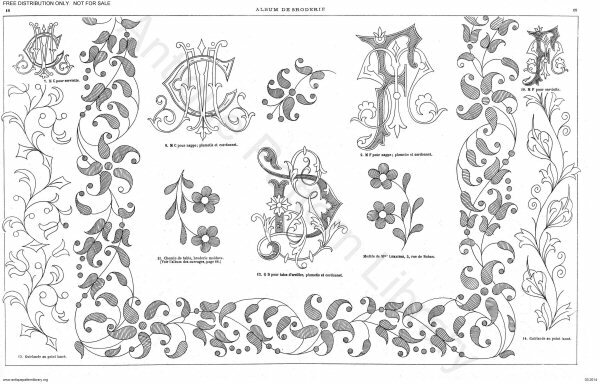 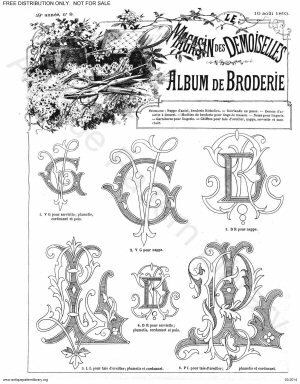 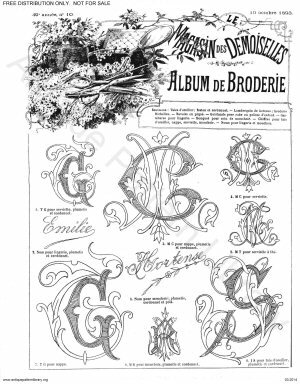 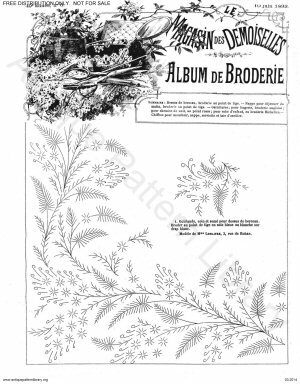 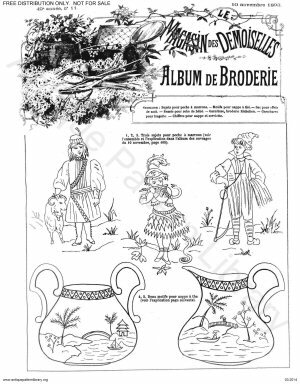 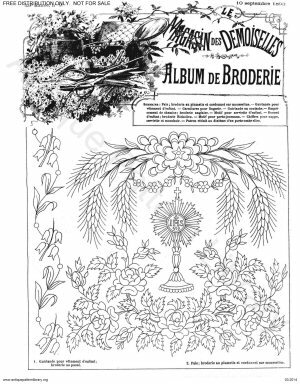 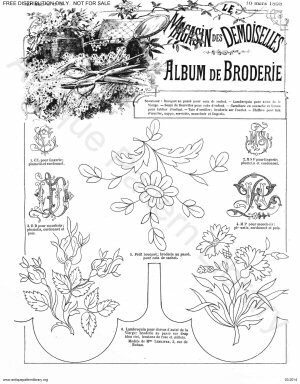 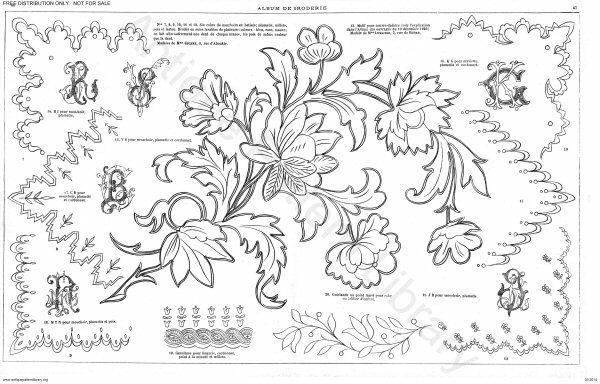 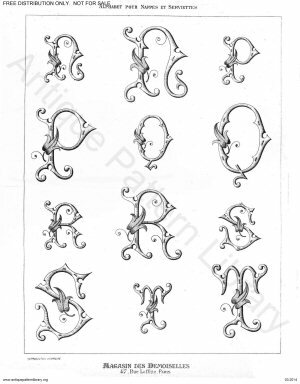 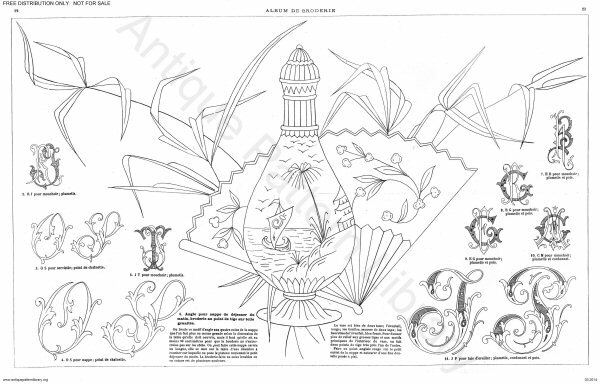 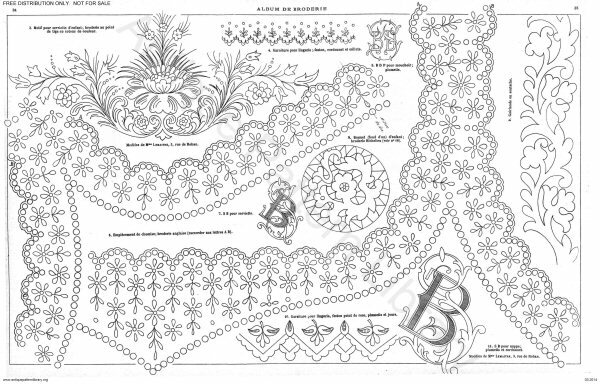 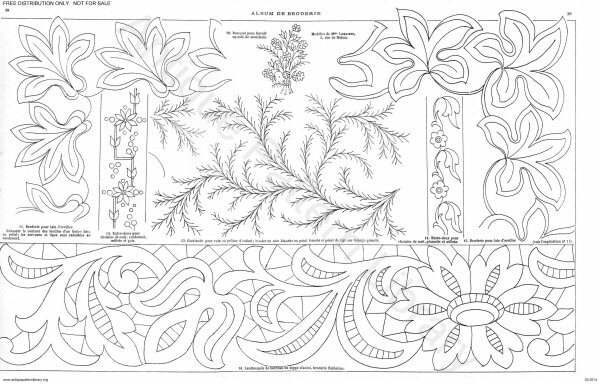 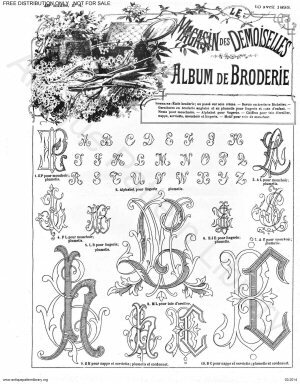 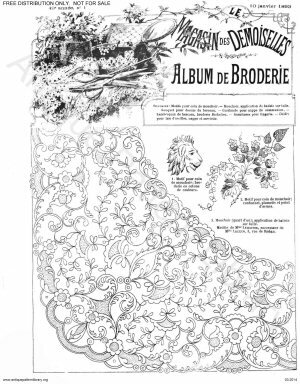 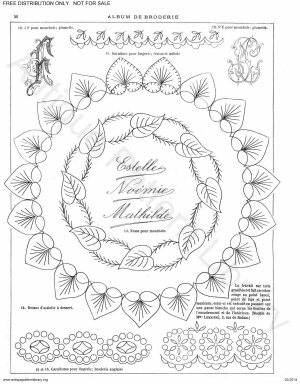 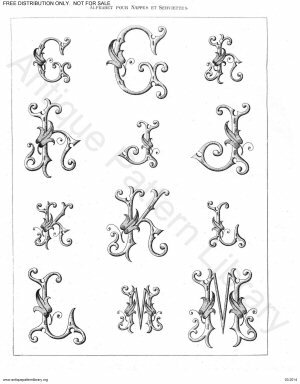 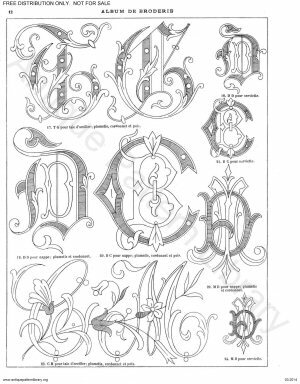 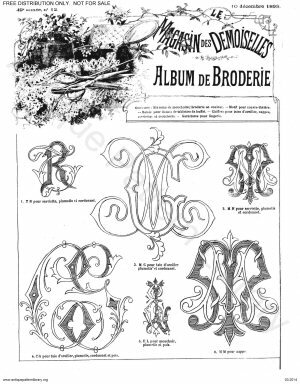 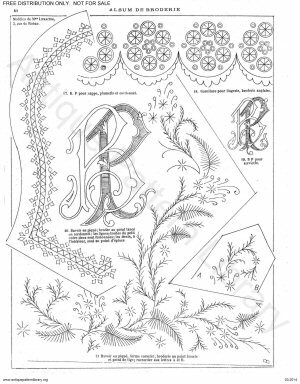 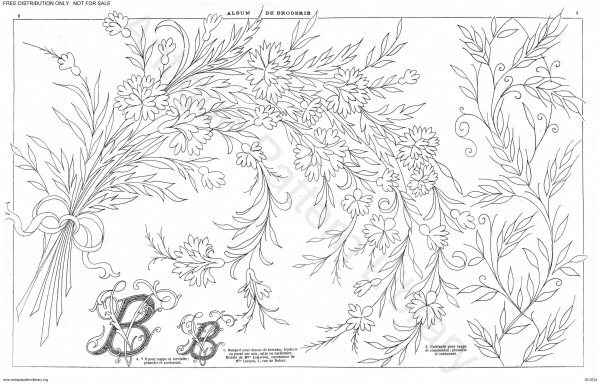 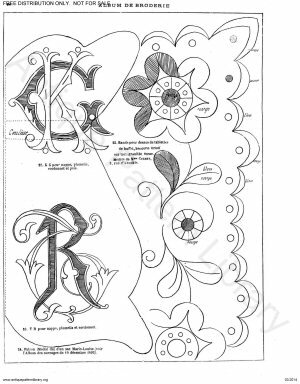 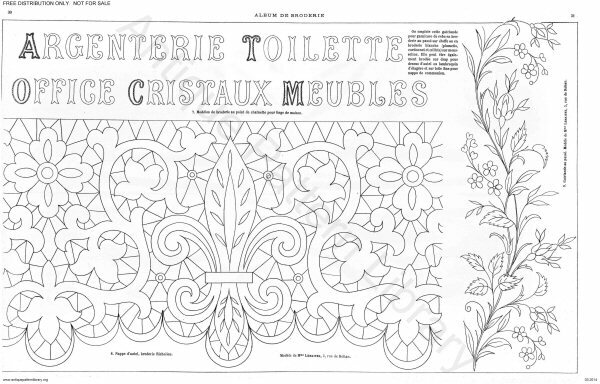 All of the embroidery project plates from the1893 volumes of the periodical Magasin des Demoiselles. 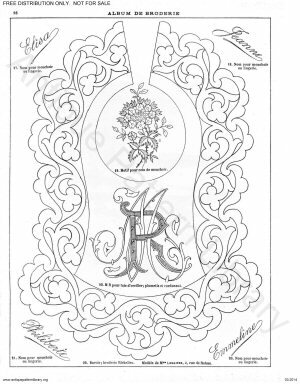 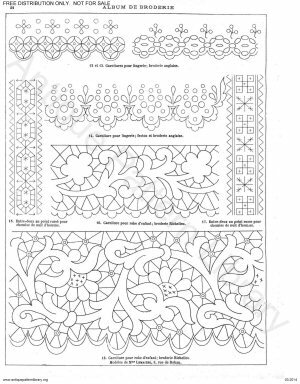 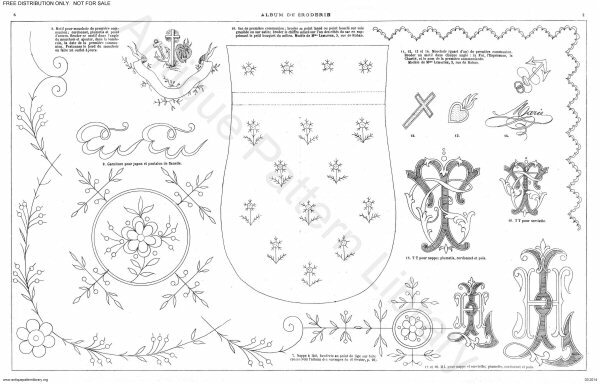 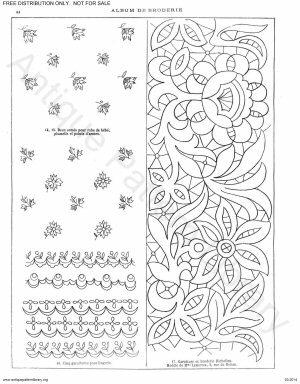 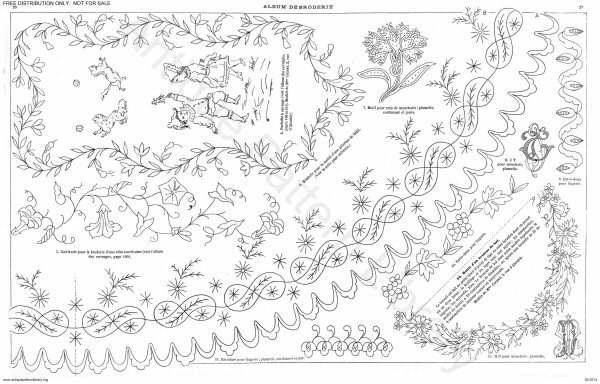 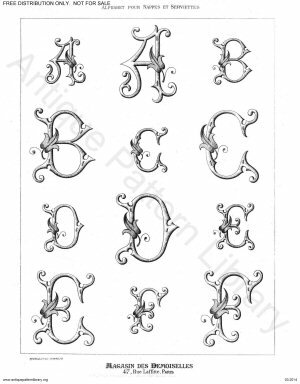 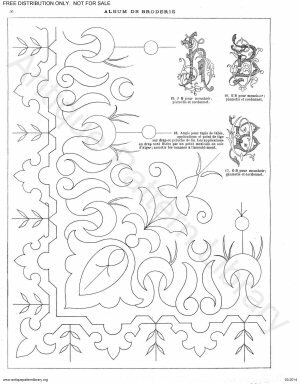 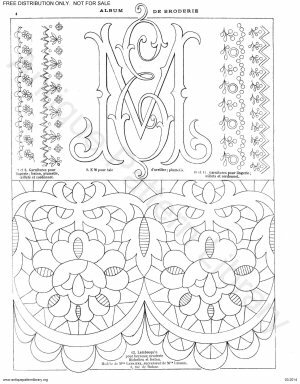 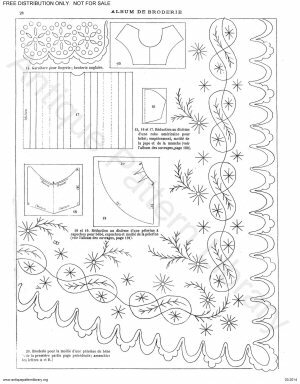 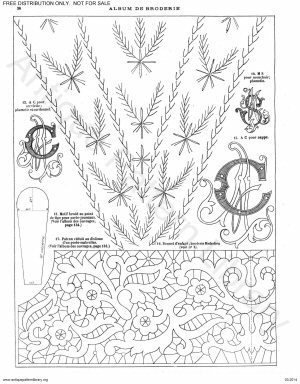 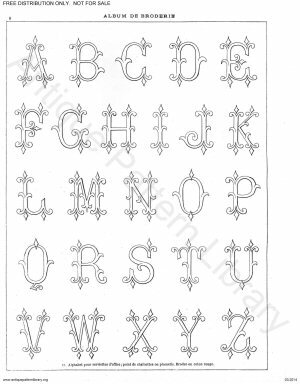 Freehand designs for surface embroidery, cutwork, whitework monograms, devotional designs, all-over and border designs for lingerie and shirtwaists (blouses), cuffs and collars, Broderie Anglaise (whitework eyelet embroidery), metal thread embroidery, tea napkins and table linens, and more. 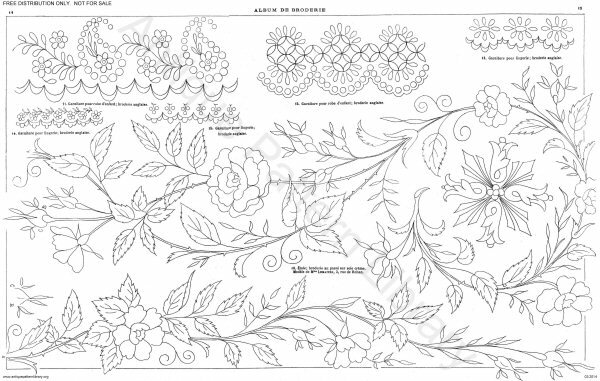 No counted designs.